SEOUL, SOUTH KOREA – Koh Young Technology announces the delivery of their 1000th 3D in-line Inspection AOI system, a Zenith model; the system was sold to Mando-Hella Electronics Corp. (MHE), located in Songdo, Incheon, South Korea. Mando-Hella is recognized as leading the trend in advanced electronic technology in the Korean automotive market. MHE was the first company to introduce various state-of-the-art electronic products into the Korean market, including digital type torque and angle sensors, POWER Pack, a core control unit of electronic power steering systems (EPS), and radar, the brain of advanced driver assistance systems (DAS). The Koh Young Zenith 3D AOI system measures the true profilometric shape of components, solder joints, patterns and even foreign material on assembled PCBs with patented 3-dimensional measurement, overcoming the shortcomings and vulnerabilities of traditional 2D AOI. Zenith uses 2D and 3D information for better visualization of the components and solder joints. This ability allows a true comparison with the IPC-A-610 standard for inspection. Thus, the acceptability of the solder joint is without question. Zenith is the first true 3D AOI system ever developed. Agile Process Management is enabled with Koh Young Technology’s KSMART Remote Monitoring System (RMS), a portal to Industry 4.0 realization. KSMART RMS shares crucial Information such as yield data, machine condition, and defect data from different SPI and AOI systems to one location. Fewer engineers and operators are required for real-time multi-line management, which is now easier and centralized for higher productivity. Process status and analysis from individual production lines can also be managed from a remote location. 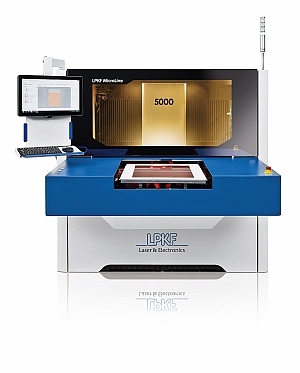 Electronics manufacturing equipment manufacturer and laser specialist LPKF Laser & Electronics AG is launching an entirely new laser drilling and cutting system specifically tailored to the needs of the flexible circuit industry. The LPKF MicroLine 5000 is a UV laser based flex drilling system with a large working area of 21” x 24” and is available in two different laser power classes, depending on customer needs for various substrates and thicknesses. The system is equipped with precise process monitoring systems as well as intelligent vision systems for fiducial recognition and alignment. Although the system is mainly focused on high-speed drilling of both blind vias and through holes, it is equally effective for contour cutting of flexible circuits. With a small laser beam spot size of only 20 μm, it allows for precise cuts of intricate flex circuit geometries. The laser system is operating in the UV wavelength allowing it to drill and cut delicate substrate materials with a minimal heat affected zone. For added flexibility, LPKF’s MicroLine 5000 can also be configured for reel-to-reel handling of flex substrates. 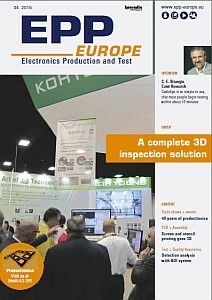 An interesting article about Koh Young 3D AOI and SPI is the cover story in the latest edition of EPP Europe, the Electronics Production and Test magazine. Click on the image to download or read the article, or this link to visit the EPP website. 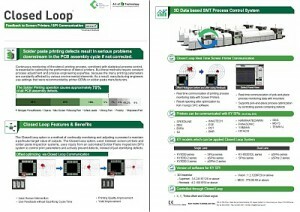 A new Koh Young brochure is available with the latest information about the “Closed Loop” functionality for the SPI systems and major screen printers. The Closed Loop option is a method of continually monitoring and adjusting a process to maintain a particular target value of outputs. 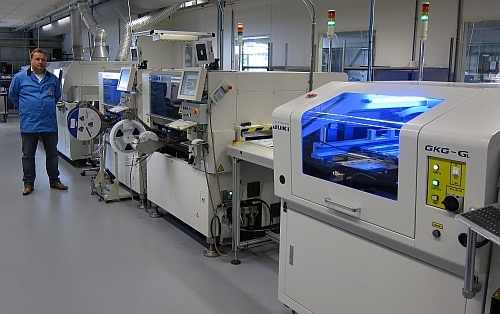 The Closed Loop option, used between screen printers and solder paste inspection systems, uses inputs from an automated Solder Paste Inspection (SPI) system to control print parameters and actively prevent defects, instead of just identifying defects. Recently, Kester submitted commercial products of NP505-HR, NF372-TB, and 985M to a third party laboratory for Bono testing. 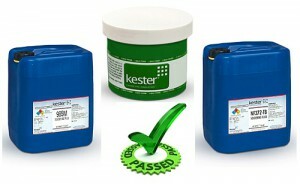 All these Kester products passed at a level that indicated no corrosion in the residues. What is the Bono test? SIR and ECM tests have been recognized by IPC as a way to evaluate paste or flux residue corrosiveness after reflow, the Bono test was developed and implemented in some French companies as an extra qualification criteria. The Bono test also quantifies the corrosion, unlike current SIR or ECM tests. And in addition to characterizing solder paste residues, the Bono test can be performed for wave soldering fluxes, repair fluxes, and tacky fluxes using the same method and same board. Please contact us for updated product information and datasheets. 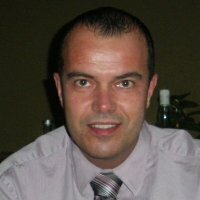 We are happy to announce that from June 1 Jack van Daal has joined the W&S sales team. With the addition of Jack to our team W&S will be able to bring better support to our customers. At Bergh Hybrid Circuits the management team has it’s own approach regarding their production facilities. This is clearly visible in the SMT production department, BHC strives to be an extremely reliable supplier and this results in a very high customer satisfaction. For the SMT production BHC has selected JUKI equipment for the very high reliability and accuracy and the lowest cost of ownership. 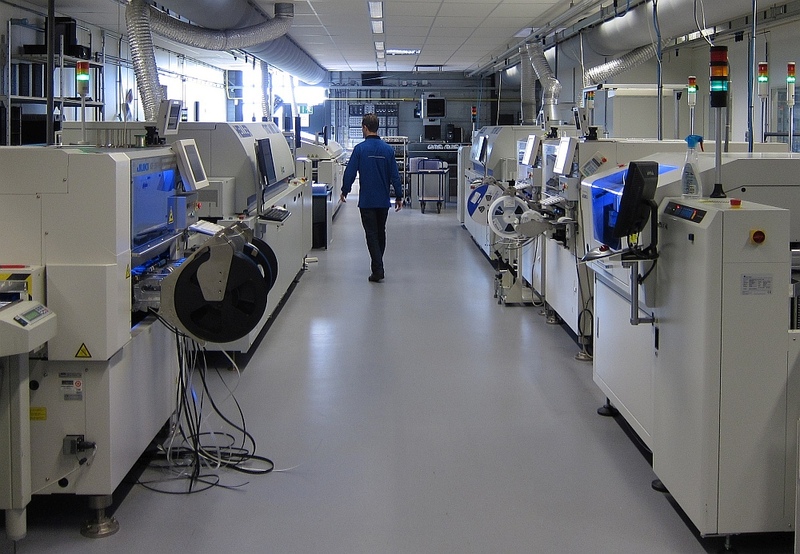 When the production requirements were growing rapidly in 2012 BHC started to renew and expand the SMT line. The first steps were the purchase of a new JUKI KE-1070 machine together with a new JUKI GL screen printer. This line was completed later that year with a Heller 1707MKIII reflow oven and automatic loaders and unloaders from Nutek. After this high quality new line was in full production the company continued to grow. 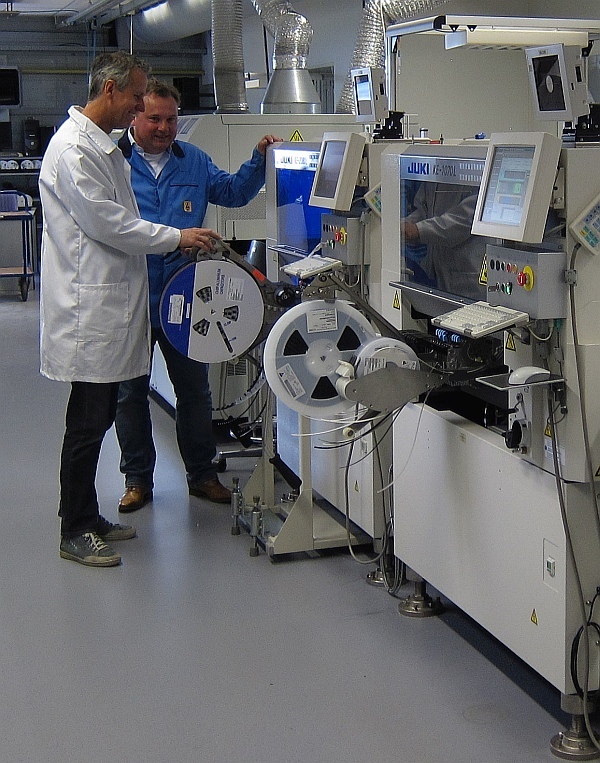 New customers and new orders required even more production capacity, so it happened that in the first half of 2013 we were discussing with the management of BHC about how to double the capacity for SMT production. After some calculation and simulation work it was decided to expand the production with a complete second line. For this new line a JUKI KE-2070 was selected and again a Heller 1707MKIII was ordered so products could be easily moved between the lines. After running these two lines with full production for approximately 6 months it became clear that the growth at BHC was not finished. The weak economy in Europe did not seem to border BHC at all and they just keep on growing. In the second quarter of 2015 we were having a meeting again about increasing production capacity and a wider component range. For some of the new products larger and higher components needed to be placed, therefore BHC selected a JUKI KE-2080 as an extra module in their first line. The new KE-2080 was delivered at April 22 and is already running in full production. With this increase in capacity BHC should be ready for the next year, or…..? We are very proud that BHC has chosen our equipment and services for their SMT production lines and we wish the BHC team lots of success with their new equipment. 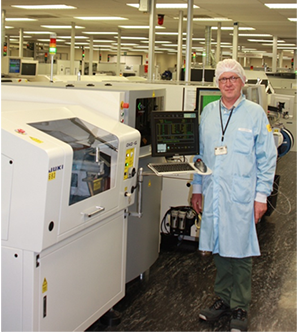 Duran Audio has invested in a new Heller reflow soldering oven and KIC profiler to achieve optimum reflow process quality. After extensive testing the Heller 1707 MKIII oven was selected to replace the existing oven. With 7 zones the Heller 1707 MKIII offers the flexibility and heating performance required by Duran Audio to solder their high end products. By using the new KIC X5 profiler the reflow process can be optimized for the high quality standard required by Duran Audio. 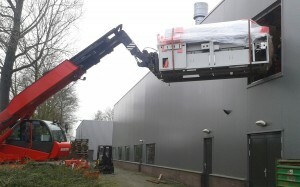 Bringing the equipment into the production area required special transport equipment, but at the end of the day the machine was save at its new location.